To document a single day in a big city, without doing so through the viewpoint of a single protagonist, would perhaps seem like a pretty rotten idea. Yet that is what the film Berlin: Die Sinfonie der Großstadt (Berlin: The Symphony of a Metropolis) sets out to do. And thanks to the excellent filming and cutting, there is not a single dull minute in it. In fact, it is not entirely correct to say that there is no protagonist in the film. The protagonist is the city itself. All the people we see are deindividualised and impersonal, but they are part of the larger entity and organism that makes up the city they live in. You can choose to see the people as the air that the city breathes. The film is subdivided into five acts, each of which deals with a particular part of the day. For example, the film begins with a train moving into the city, and through the eyes of people arriving with that early morning train we see the city slowly waking up. Another act deals with people going to lunch, and in one of the film’s many instances of dry humour, the lunching Berliners are shown interfoliated with animals at the Berlin Zoo, also eating their lunches. As a piece of trivia for Charlie Chaplin fans, Chaplin’s legs can be seen briefly, as a cinema audience watch The Gold Rush, and the lower part of the screen is captured in the film. The copy at the Internet Archive is not subtitled, but that is not a problem. Except for a few street signs and title cards announcing when the various acts begin and end, the only language you will find is the visual language of film itself. Director Walter Ruttmann wisely decided to tell the story entirely through images, with no help of words. This film is best enjoyed as a one-way time machine. In its own time, I suppose the film was mostly conceived as a work of art. 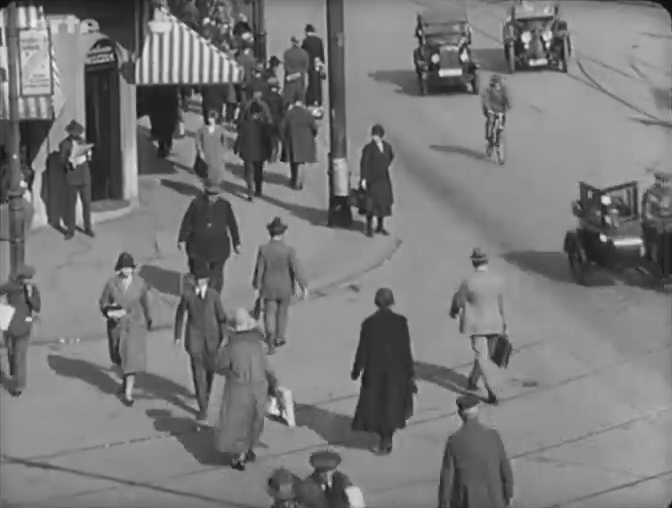 But today, you get to see the fashion, architecture, cars, trams, horse-drawn carriages and a myriad other everyday aspects of life in Berlin as it was 90 years ago. This is especially interesting when you consider that only a few years later, the Nazis were to take over, and in less than 20 years, most of the city would lay in ruins. The film allows us, for a brief hour, to take part in the lives of people who are no longer living, and to breathe with a city that is now a totally different entity. 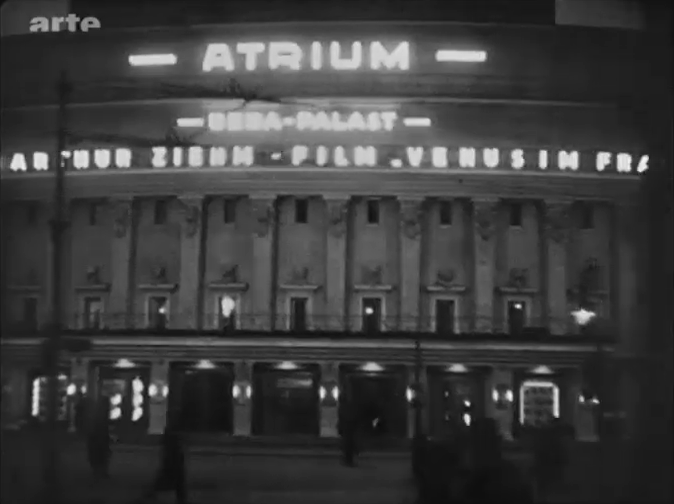 This entry was posted in Avant-garde, Silents and tagged 1920s, 1927, Berlin, City symphony film, Documentary, German film, Germany, Internet Archive, Interwar period, Silent, Sport, Zoo. Bookmark the permalink.